Following 9/11, Al-Qaeda-orchestrated plots were considered the greatest threat to Western security and sparked the coalition’s war on terror. Close to a decade later, the post-9/11 threat landscape had shifted significantly, leading then CIA-director Leon Panetta to describe “the lone-wolf strategy” as the main threat to the United States. Subsequent lone-actor attacks across the West, including the cities of London, Nice, Berlin, Stockholm, Ottawa and Charleston, further entrenched perspectives of a transformed security landscape in the “after, after-9/11” world. The unique features of lone-actor terrorism, including the challenges of interdiction and potential of copycat attacks, mean that the media is likely to play a particularly important role in shaping the reactions of the public, affected communities and copycat attackers. This article presents findings from a content analysis of British and Danish newspaper reporting of lone-actor terrorism between January 2010 and February 2015. 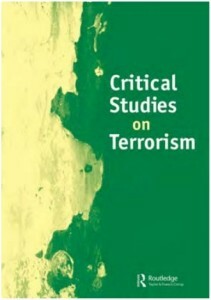 The study highlights that lone-actor terrorism is framed, with national variations, as a significant and increasing problem in both countries; that Islamist lone-actors are often represented as distinct from far-right lone-actors; and that some reporting, despite relatively limited amplification of specific terrorist messages, potentially aids lone-actors by detailing state vulnerabilities to attacks.